The cover: I don’t often look at these unless they catch my eye and this one did but for the wrong reasons. I don’t like the font colour, and the whole faded appearance look just doesn’t do it justice IMO. With that and the pinkish swirly script it looks like an old 60’s/70’s M&B read and its far more intense than one of those….I don’t feel this cover suits the story at all. 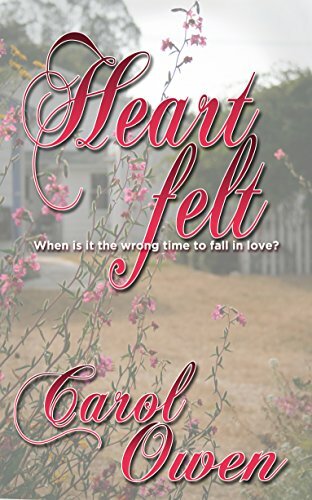 This is a gentle romance, so very real, with characters that go through events that shape their lives and feelings just as happens in reality. We are products of what happens to us in life, and when I’m reading, even though its fictional lives I want to feel the characters could have lived through events, acted like the way they do in the book. Shay is going through something that affects many of us, the big C. Been there, done that and like Shay found its a scary time, treatment is hard and picking up life again while still wondering of every twinge is a recurrence is very difficult, balancing fear and over reaction with the need to be observant and vigilant. Drew, what a gorgeous man. Talented artist and teacher of art, he’s in Shay’s town while his house is renovated, hoping to get on with some work for his next show. He’s had a tough spell too, with his estranged wife dying in a car crash while they were picking up daughter Patti from school. Patti was badly injured, has spent months recovering and still can’t recall everything about the accident. It makes her frustrated and angry at Drew much of the time. Anyway Drew meets Shay and they’re both shocked at the attraction. Neither was looking for or expected that, and the path forward is fraught with bumps, one of them a real big bump! Its not just Shay, Drew and Patti though. There’s his brother and sister in law, expecting their first child, his Gallery agent and his students, Shay’s son Luke and his girlfriend, her friends in the village and her online cancer support group. It made for a very rounded read, with lots of emotion at times, and felt so very real. Its a story I really enjoyed, not a heart stopping mile-a-minute read but a more sedate meander through all these different folk. Stars: four, a very real, beautiful, gentle romance.